Beirut, Lebanon- The Israeli military in coordination with its U.S. and European allies evacuated hundreds of Syrian rescue workers known as the White Helmets from near its volatile frontier with Syria, in a complex and first-of-a-kind operation. Israeli Prime Minister Benjamin Netanyahu issued a video statement saying U.S. President Donald Trump, Canadian Prime Minister Justin Trudeau and others had asked him to help evacuate the group’s members. Raed Saleh, head of the White Helmets which are also known as the Syrian Civil Defense, said a number of volunteers and their families were evacuated from a dangerous, besieged area. He did not provide exact figures. This was the first such Israeli intervention in Syria’s lengthy civil war, now in its eighth year. Although it has sent aid into Syria and has provided medical treatment to thousands of Syrians who reached the Golan Heights frontier, the Israeli military said its actions did not reflect a change to Israel’s non-intervention policy in Syria’s war, where all the warring parties are considered hostile. It was an unprecedented operation to provide protection and asylum to allies of Western nations in Syria’s complex battlefield. 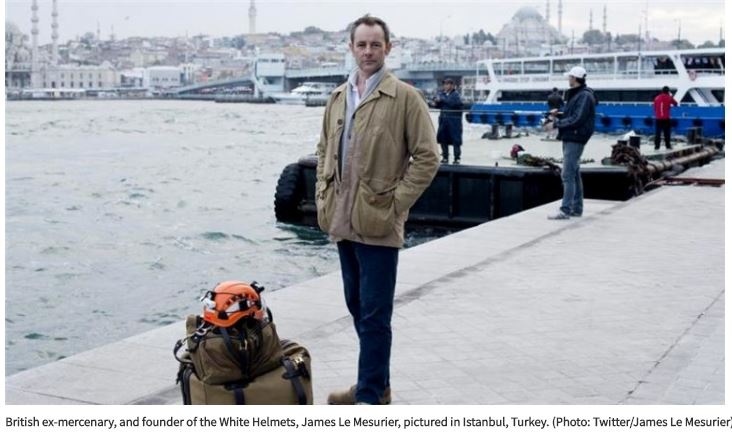 The White Helmets have enjoyed backing and received finances and training from the United States and other Western nations for years. Because of their work in opposition areas, where they were almost exclusively the only ones to offer rescue services in the face of the government military advances, they were considered public enemy number one by the Syrian government. They offered services where state institutions and services are non-existent. Their facilities were targeted, and their volunteers hit in what became known as “double tap” attacks that drew the volunteers to areas of bombings only to hit them once on site. The Syrian government, and its ally Russia, have called the White Helmets “terrorists,” accused them of being foreign powers “agents,” and of cooperating with radical insurgent groups. Both Moscow and Damascus have accused the White Helmets of staging rescue missions and chemical attacks to blame on the government. Syrian lawmaker Khaled Abboud said that “foreign powers are pulling their agents out of the battlefield” because of the Syrian military victories that have quashed the “aggression” against Syria. Surrender deals were reached with the armed groups, allowing thousands to evacuate to the northern province of Idlib, where the opposition still holds sway. 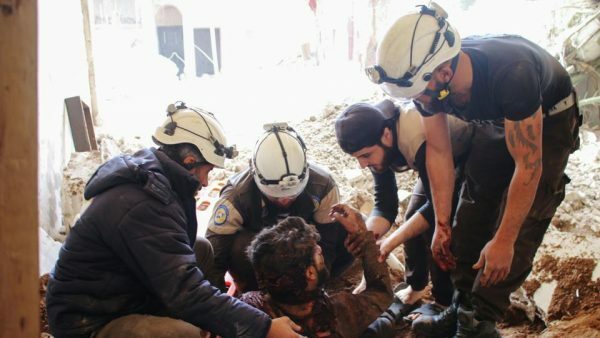 But one civil defense official, refusing to be identified by name for his safety, said the Russians— allies of the Syrian government and who were mediating the surrender deals — refused to allow the White Helmets to be evacuated to the north. Evacuation plans were accelerated after last week’s NATO summit in Brussels. On Sunday, the British International Development Secretary Penny Mordaunt and Foreign Secretary Hunt said the volunteers and their family “have been able to leave Syria for safety” following a joint diplomatic effort by Britain and its international partners. They said due to the risk the volunteers faced and their high profile, necessary steps were taken to afford protection to “as many volunteers and their families” as possible. Jordanian Foreign Ministry’s spokesman Mohammed al-Kayed said the Syrians would remain in a closed area in Jordan for three months. Safadi, Jordan’s foreign minister, said in a tweet that his government approved the evacuation after a pledge from Britain, Germany and Canada that the evacuees will be resettled in three months. Aron Lund, a Syria expert with the Century Foundation, said after funding and promoting the White Helmets for years, the evacuation should not be a surprise. “All sides benefit from giving the losing team a safe exit,” he said. This would incline towards Assad maintaining power. Looks like he gets to keep the pile of rubble and a large portion of the former Syria for now, under Russia. But he will not see peace until the Hezb/Iran go home. Iran is still looking to aggravate Israel and continue stirring up war. And Israel will continue to preemptively strike IRGC and Hezb in Syria every chance they get. At least until the Iranian people revolt against the mullah mismanagement. I don’t buy the “we’re striking Iran for it’s own sake” excuse entirely. Note that both Russia and Iran/Hezbollah are moving quickly now, and Jordan is interested in this as well, to get the refugees out of Lebanon and Jordan and back into Syria. Having largely defeated the opposition, Russia/Syria/Iran want the conflict wound down. The Western strategy is to counter by prolonging the conflict, and keeping the refugees out of Syria, especially those in Lebanon, hoping to make them into a political force. This is Israel’s compelling interest in striking now, not anything to do with “Iran on the border.” They’ve lived with Iran close-by for awhile now, just on a different border. Everyone seems to be betting on the coming Iranian revolt against the clergy. Seeing is believing. This is Israeli WEST NEWS. 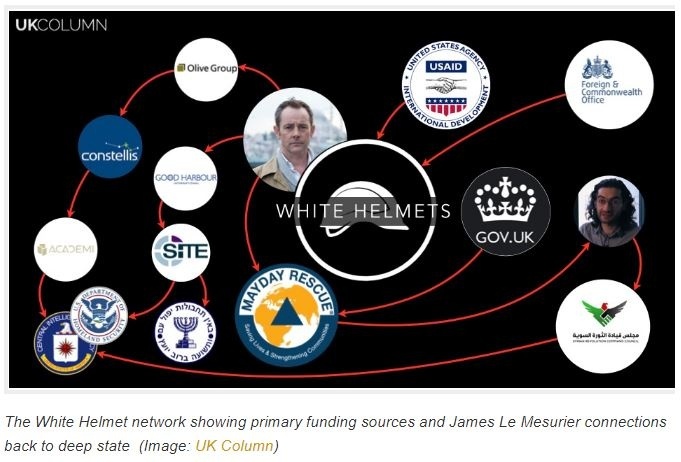 “Over the past two years, enlightening information has been revealed that thoroughly and unequivocally debunks the “humanitarianism” of the White Helmets in Syria, sometimes referred to as the Syrian Civil Defense. What is “WEST NEWS” (with Capslock on)? Dr. Dumbyad is a mystery wrapped in a riddle.